As the pop charts continue to speed up with euro-trance inflected R&B dross clogging up the upper echelons of what is considered popular these days, Apollo Records returns to soothe the senses. As the world around us frantically loses its head, there’s a sea-change going on in underground music - a shift towards slowing the tempo down. 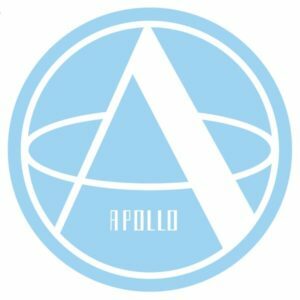 The recent R&S label’s resurrection has firmly planted it back as one of the most forward thinking electronic labels, but with A&R and operations now based in London, Renaat Vandepapeliere, original founder of the legendary label, is at the controls of Apollo from his base in Ghent to release the music he loves. Over the years Apollo has heard the likes of Aphex Twin (Selected Ambient Works Vol 1), Robert Leiner, DJ Krush, Cabaret Voltaire & Biosphere pass through its ears. With R&S mainly releasing audio aimed primarily at the floor - especially in its first more techno led incarnation in the 90’s - the Apollo output was something so distinct, that it had to be enveloped in its own home. Skewed more towards the more minimal forms of this electronic art-form, on Apollo releases if the beat encroaches it’s more likely to be of the low slung variety. Step forward Manchester's Joe Synkro to champion the soundscapes of the newly resurrected canvas. Effortlessly transcending electronic genres with his brand of deep, bass driven music, Synkro is primarily known for his dub-step and two-step production on Exit, Blackout Music, & Med School. With a wide range of thoughtful and, at times, beautifully delicate sounds he’s picked up plaudits from corners as diverse as Instra:mental, Giles Peterson, Mary Anne Hobbs and Chris Coco. The past few years have seen his sound mature and him master various tempos with his original output. With this four-track EP we listen as Synkro examines the deeper side of his psyche and takes us into landscapes as yet uncharted. Reflective and contemplative, the warm swathes of synths and contorted vocals on opener ‘Broken Promise’ lay the mandate for the journey ahead. A muffled kick drum sits low in the mix, keys drift through the ambience and you can just see that first chink of sunlight on the horizon if you look very closely. ‘Why Don’t You’ is a slow jam of sorts. Stuttered Manchester sulphuric soul with guitar licks to boot, you’re transported to the depths of a low-ceilinged New York basement. The track’s vocal hook is a call and response that wouldn’t sound out of place on a SBTRKT production or in one of Wolf & Lamb’s slo-mo get downs. ‘Memories of Love’ continues where ‘Why Don’t You’ left off. A reply. It’s difficult to dissect each track too much as the whole release was obviously constructed to be listened to in its entirety in those late, late nights and early mornings when perceptions are warped and senses distorted. This EP cements Synkros increasing prevalence amongst his luminaries and the incredible envelope pushing going on at the moment in the electronic music world.